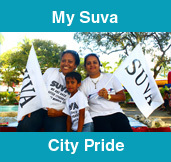 Tappoo City – synonymous with quality and style, is another relatively new complex in Suva. 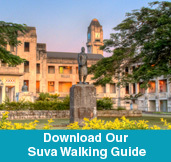 Its six levels are encased in an architecturally designed edifice to represent the shape of the traditional Fijian canoe, the 'drua' with four stories of the building being used for retail and restaurants. 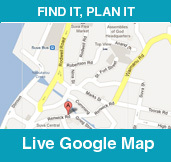 Once inside your senses are inundated with a world of excellence in terms of shopping experiences. After you have exhausted your need to shop, take the escalator to the fourth floor and immerse yourself in the amazing array of local and international culinary delights on offer in the food hall. From North Indian Tandoori, South Indian Madras Masala, Chinese Shanghai to Cantonese, Tappoo City has it all. Enjoy lunch or dinner while gazing over the stunning view of Suva harbor from the panoramic glass windows. Easily accessible by the glass lifts and escalators, this 22,000 plus sq feet of double story floor space is Fiji's first. And then there is the option of shopping at the pharmacy or taking the kids to the gaming area where they can play the latest video games if they are 'over' shopping. There is also a Convenience Store and a liquor outlet selling the best international wines, beers and spirits. 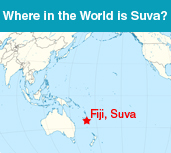 Tappoo brings the world of international shopping to Fiji. Owned and operated by the Tappoo family, its founder, Tappoo Kanji, left India and settled in Fiji in 1941 in the hope of providing a better life for his family. 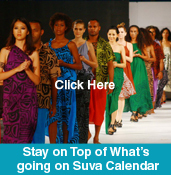 The company has now been operating in Fiji for the past seven decades and supplies an extensive range of high-quality products at competitive prices including designer clothing, shoes, accessories, perfumes, bags and much more. Tappoo employs over 1200 people Fiji emphasizing not only the success of the business but also its important role in providing much needed employment. 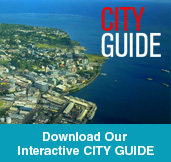 Tappoo City, the largest outlet is based in Suva. A new six-storey shopping mall, Tappoo City has forever altered the Suva city skyline and created a new landmark for our lovely city. Tappoo stores are recognized for their elegant ambience, presentation, superior service and the exclusive range of products available. Their airport duty free stores offer great duty free bargains and provide a range of gift items that are superior to most. The company are also major distributors of 'Pepsi' with the bottling plant located in Lautoka, Fiji's second largest city. Tappoo is also the registered dealer for Kia Motors Fiji, with marketing and servicing carried out from its newly renovated showroom and servicing centre in Suva. Tappoo is a prominent and important player in Fiji's business world establishing itself as a household name over a period of 70 years. Tappoo City is open from 9am – 9pm, 7 days a week.